More than 25 years of overseas market trading makes IC Import Consultants a strategic partner for companies in Latin America. 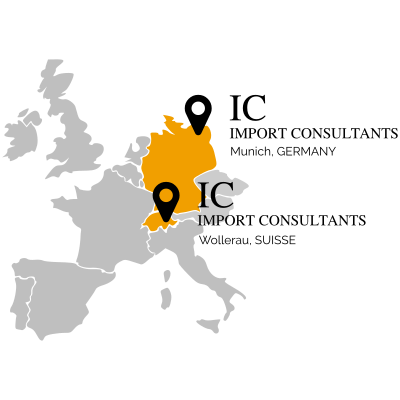 IC covers to all important industry sectors in Europe. IC Import Consultants, founded in 1987, is a trade and import consultancy with offices in Switzerland. Since then, it has been providing Latin American customers with European technology as a reliable partner. Small, medium and large companies across all industrial branches ask for consultancy to purchase industrial goods on the European market: MRO (Maintenance, Repair and Operations) products as well as raw materials. IC’s success is based on it’s expertise in bridging language barriers and geographical distances. Above all, the key factor of our successful work is identification with the Latin American industry on a personal level. IC Import Consultants operates on behalf of Latin American purchase departments. We act as your external purchase unit in Europe. Importing from a foreign market is a complex undertaking. Getting it wrong can be extremely costly. … reveals products and brands on the European market. … orchestrates all logistic processes and guarantees deliveries using proper transportation. … joins technical and commercial expertise on products, suppliers and markets. It makes a sound decision easy to come to.